Going back to the 80s, Louis Vuitton bring forward its Spring/Summer 2019 Campaign, and offers a look at its new retro designs. 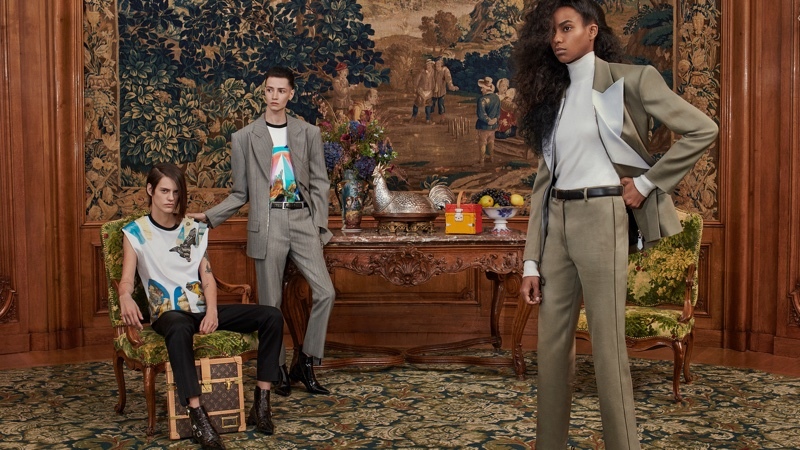 Photographed by Collier Schorr, the campaign heads to the Le Bristol Paris Hotel and Louis Vuitton's Creative director Nicolas Ghesquière enlists a cast of rising stars for the shoot. Featuring Kiki Willems, Ambar Cristal Zarzuela, Blesnya Minher, Signe Veiteberg and Natalie Westling, the campaign shows off the French fashion label's bold print and patterns with retro puffed sleeves and high-waist along with short dresses and accessories to steal the show. Whimsical colours also take the spotlight, and the shoot is styled by Marie-Amelie Sauvé with hair and makeup by Duffy and Diane Kendal.